Josh Hingst and Kimberly Mueller are the Authors of the book The Athlete’s Guide to Sports Supplements (Human Kinetics 2013). We consider this book to be the bible of understanding supplements, including how they work, performance benefits, and the health concerns attributed to them. Hingst is not only a nutrition specialist, but also the head strength coach with the Philadelphia Eagles. We recently had the opportunity to ask him a few important questions about how supplements can affect not only the seasoned athlete, but also us average “weekend warriors”. Urbasm: What are the three supplements that almost every man should be taking for general health and performance, and what are your top tips for making sure they are choosing the best ones? 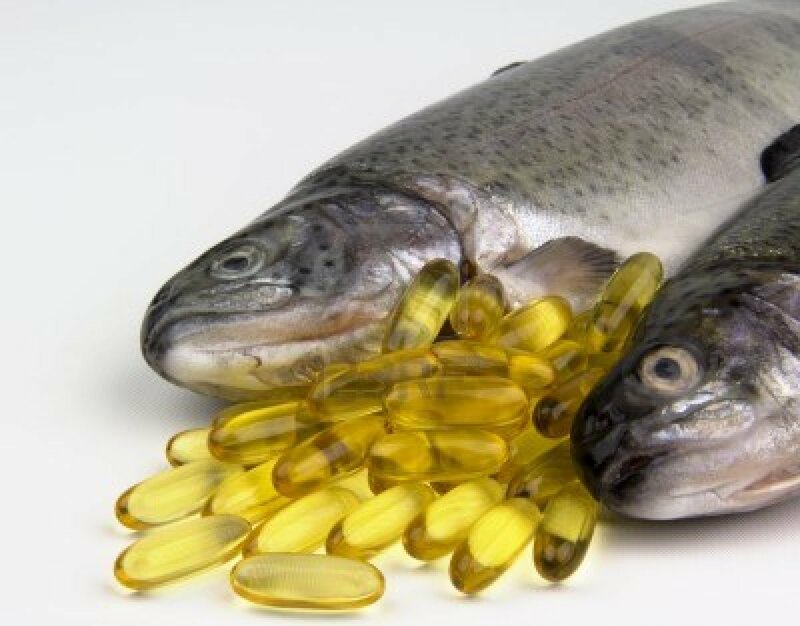 Josh Hingst: The amount of research on fish oils and Vitamin D has exploded over the last ten years, uncovering a wide variety of benefits including disease prevention and maximum performance. Fish Oils have been shown to reduce risk of heart disease, diabetes, dementia, and alzheimer’s. In terms of performance, they have a role in the inflammatory response and can reduce inflammation, preventing joint pain from chronic over use and potentially lessen the pain of delayed onset muscle soreness (DOMS) experienced after heavy training sessions. Vitamin D deficiency is also linked to disease and has research to support a role in the prevention of cancer, arthritis, diabetes, and cardiovascular disease. On the performance side Vitamin D impacts neuromuscular function, improving muscular performance. In addition, Vitamin D appears to have a role in protein synthesis impacting gains in muscle mass. Urb: What about the top three supplements for general muscle recovery? JH: Proteins are made up of amino acids and the amino acid profile of whey protein makes it a top quality source for recovery. Its profile includes higher levels of the BCAA (branched-chain amino acid) leucine. Leucine has been shown to be a strong stimulator of protein synthesis (muscle-building/recovery). In addition, whey is fast digesting making amino acids more quickly available to muscle and ideal in the immediate (15-45 minute) post workout recovery window. 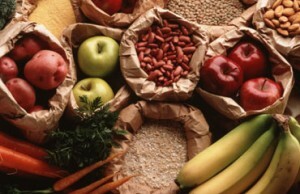 Carbohydrates are often over-looked but have an important role in muscle recovery. Carbohydrate stores (aka glycogen stores) are utilized during exercise, especially high-intensity training, and as stores are depleted they must be replenished. In addition, carbohydrates consumed in the post workout recovery window stimulate insulin, a powerful muscle-building hormone, which improves the storage and uptake of both carbohydrates and amino acids in muscle. For optimal muscle recovery, glycogen stores, must be restored. Chronically low muscle glycogen stores will decrease the overall anabolic state of the body and slow muscle recovery. HMB (β-hydroxy-β-methylbutyrate) is a metabolite of the amino acid leucine and plays an important role in the preservation of muscle mass. Just as leucine has been shown to stimulate protein-building pathways, HMB can blunt the pathways that breakdown proteins, therefore, sparing muscle and improving recovery. Urb: What are a few of the most important ingredients that should be included with a good all-around protein drink for the average guy who sees the gym three times a week, doing a variety of activities, including running, lifting, and recreational sports? JH: Great question, for the average guy I would suggest a recovery drink that includes a good balance of ideal sources of the macronutrients (protein, carbohydrate, fat). Whey protein would be a great choice, 20g, mixed with 30-60g of carbohydrate depending upon intensity and duration of activity. A healthy source of fat, potentially fish oils (high in EPA & DHA) or coconut milk (high in Medium Chain Triglycerides) can be added to the mix. Adding 3-5g of creatine is also advised. Urb: What is one of the biggest red flags on the label of a product that is promising more than it can deliver? JH: Quite honestly, anything that promises results that sound to good to be true probably are. Of all the research we examined to write this book, the majority of research resulting in improvements found benefits to be small 1-5%. Supplements can only compliment a well-balanced diet and will not provide miracle or mind blowing results. The dietary supplement label (see figure 1.1) lists essential information about the product in the bottle. Prior to using any supplement, it is critical to always read the label and follow directions for use. 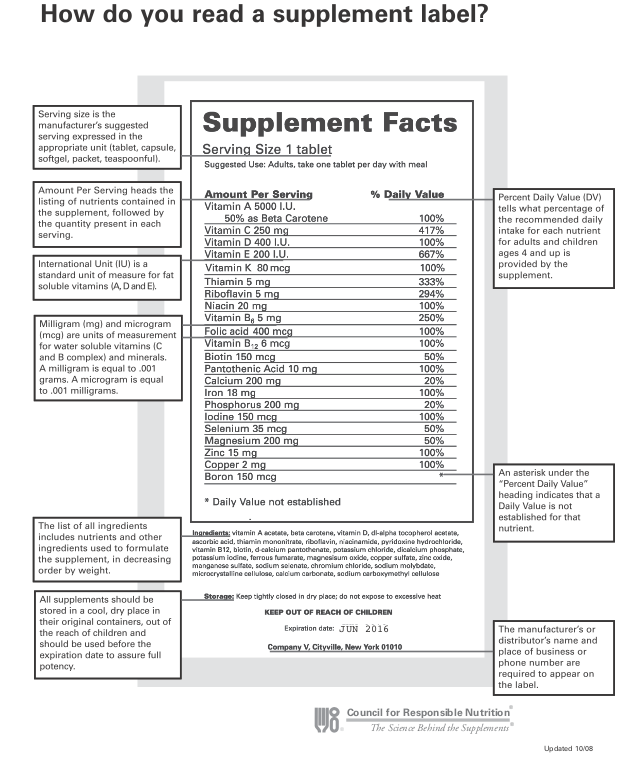 Figure 1.1 – Before choosing a supplement, it’s important to understand the information on the supplement label. Used with permission from the Council for Responsible Nutrition www.crnusa.org. 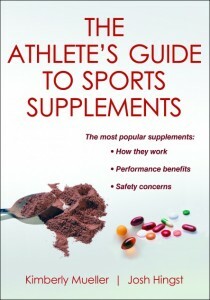 The Athlete’s Guide to Sports Supplements is written by Kimberly Mueller and Josh Hingst. Mueller is a board-certified specialist in sport dietetics with a master’s degree in exercise physiology and sport nutrition. Hingst is the head strength coach with the Philadelphia Eagles and a specialist in the fields of nutrition and strength and conditioning. 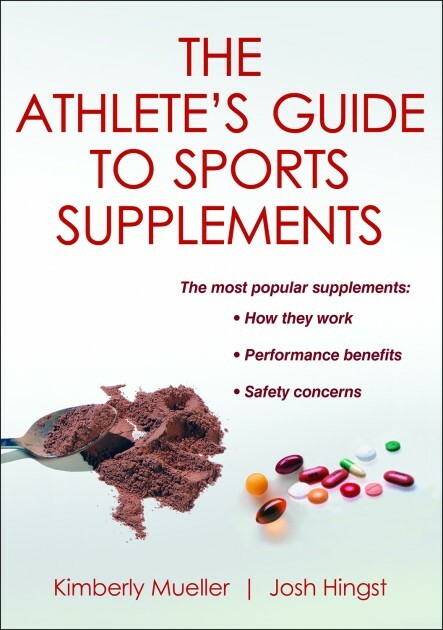 The Athlete’s Guide to Sports Supplements is available at Amazon , in bookstores everywhere, as well as online at www.HumanKinetics.com. Amino Acids. 2011 May;40(5):1349-62. doi: 10.1007/s00726-011-0855-9. Epub 2011 Mar 11. Use of creatine in the elderly and evidence for effects on cognitive function in young and old. Curr Aging Sci. 2013 Dec;6(3):251-7. Creatine Supplementation: Can it Improve Quality of Life in the Elderly without Associated Resistance Training? Moon A, Heywood L, Rutherford S, Cobbold C.
Creatine supplementation and aging musculoskeletal health. Candow DG, Chilibeck PD, Forbes SC.